500 nits brightness Wide color (P3). FaceTime HD camera. Magic Keyboard and Mouse. 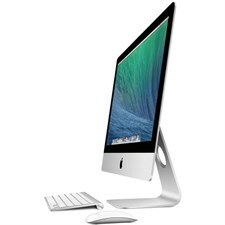 Apple iMac with Retina 5K Display Desktop Computer - MK462 - 27"
21.5-inch (diagonal) Retina 4K display. 4096-by-2304 resolution with support for one billion colors. 500 nits brightness. 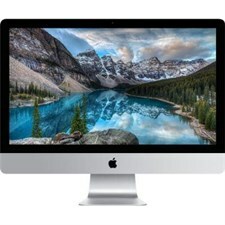 Apple iMac with Retina 5K Display Desktop Computer - MNE92 - 27"
27-inch (diagonal) Retina 5K display. 5120-by-2880 resolution with support for one billion colors 500 nits brightness. Wide color (P3). FaceTime HD camera. Thunderbolt 3 digital video output. Magic Keyboard and Mouse. 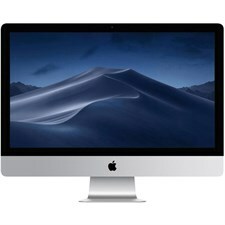 Apple iMac with Retina 5K Display Desktop Computer - MNEA2 - 27"